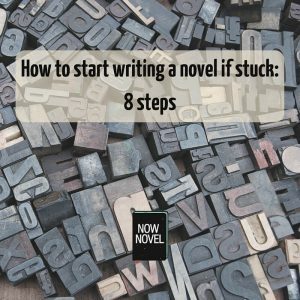 If you feel stuck, you might be getting caught in self-defeating thought loops and undercutting your own motivation by convincing yourself you can’t write. Instead, follow the author Scott Berkun’s advice and write about how it feels to not write. Simply getting words on the page is all you should aim at until you get past the initial terror of the blank page and allow yourself to play and simply enjoy writing more. Even when your imagination isn’t being helpful in suggesting narrative details, you have thoughts. So write them down. Before you can work out how to start writing a novel, you first need to work out how to stop making excuses not to write. Even if you’re simply writing a journal for now, frequent practice will help you make writing part of your everyday routine. Sometimes it’s interesting to just start in the middle of a scene and make up your story as you go along. Yet if you want your novel to have great structure and an underlying sense of purpose and destination, it helps to have a strong central story idea from the outset. You story idea is the central premise that all the character motivations and plot events stem from. It thus makes sense to spend time finding a novel idea that you’re happy with; one that drives you to start and finish writing your book. 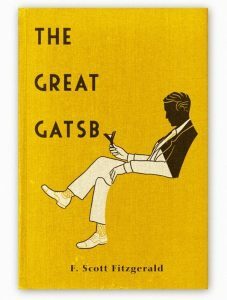 Of course, The Great Gatsby is about much more than the protagonist/narrator Nick Carraway and his discoveries about Jay Gatsby, but the idea of a curious war veteran befriending an enigmatic millionaire in the 1920s and getting embroiled in complex social circumstances is arguably the central plot idea that the story branches out from. Novel ideas often focus on characters and their interesting differences in this way. Difference can be a source of conflict or mystery, both of which help to keep readers riveted. Find a story idea with potential for mystery and/or conflict. Solving your own mystery or resolving your own conflict will be an enjoyable process of discovery. If you don’t yet have a central novel idea, the central idea finder on Now Novel will help you distill what you want to write about. 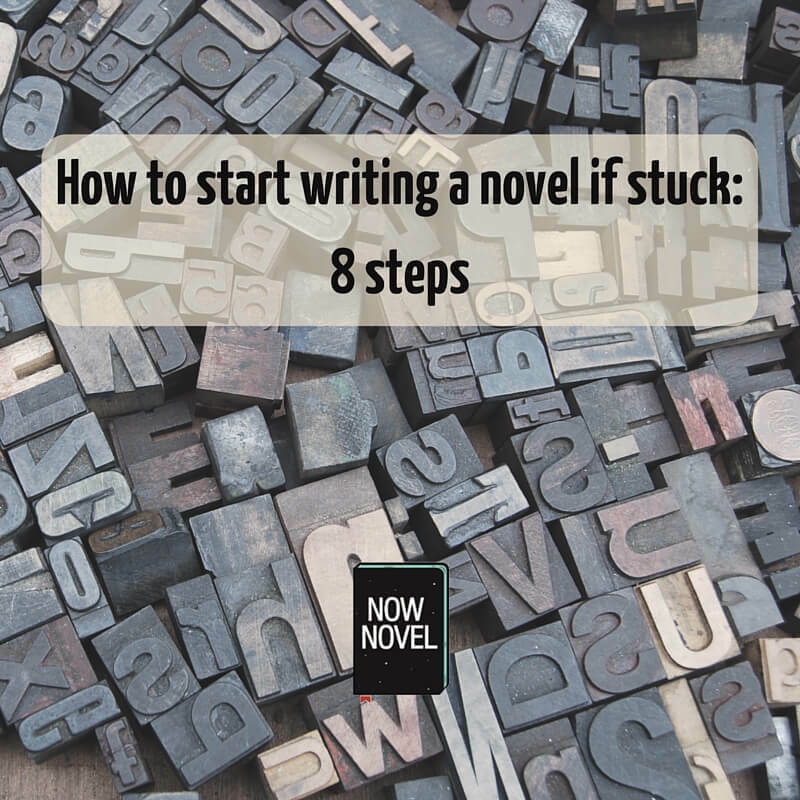 Sometimes you don’t know where to start writing a novel because you simply don’t have enough information about your story’s location or time period to create the backdrop to your plot. Find research sources that are relevant to your story. If your story is a murder mystery that takes place in the cobbled streets of an old Eastern European town, use Google Street View to take a virtual tour of similar streets for inspiration. If you need to know what people thought, wore and ate in a specific era in a specific region, history books and public archives can be helpful. Government archives may be particularly useful for finding the research you need to start writing a novel. The US national archives, for example, contain articles and records on the Civil War. These will help if you want to set a novel (whether or not the war itself plays a central part) in this time period. Once you have gathered together necessary facts about places and people, write these down in summary form in a separate document under headings that can be searched quickly whenever you need to look something up while writing. An alternative approach is to look up factual or historical details (if your setting is not contemporary) as you go, whenever the need arises. Getting your research out of the way first, however, will help you build more comprehensive sense of place and era in your mind from the outset. Although many people profess to be pantsers and loathe the outlining process, creating a plot outline gives you a roadmap for your story. There’s no single way to outline a novel, so you can try different approaches (such as these 7 book outlining methods) until you find one that works for you. Once you have a central idea, start brainstorming scene locations and plot events. For the central idea ‘man awakens to find he has transformed into a monstrous creature’ (the premise of Kafka’s Metamorphosis), you could brainstorm individual scenes: How will the man’s family react? Outline a scene where his family discovers the transformation. Proceed this way from your central idea. Ask questions about your characters and their experiences and choices to come up with scenes that will develop preceding scenes and turn your one central idea into growing offshoots. Once you’ve come up with several scene ideas and start forming a sense of how the action of your story will unfold, you can create a more detailed outline. As you write, you might find some pre-chosen scenes don’t work or feel out of place. Feel free to take detours from your outline. Its main purpose is to give you a rough estimate of where you are heading so that you keep writing towards an attainable endpoint. Forming an idea of who the main actors of your novel will be before you even start is one way to create momentum. Imagine someone you’d like to write about: Are they an aging rocker who’s struggling to adjust to life off the road, or a high school student experiencing their first love? For each character you want to star in your novel, write a detailed backstory. This doesn’t have to be included in your novel. It will purely help you see each of your characters as real and three-dimensional. It’ll make it easier to imagine how your character will react in a given scene or scenario. If you need help getting started with character outlines, the Now Novel process includes a character creation tool consisting of a series of helpful prompts. There’s nothing to say that you have to start writing a novel from the first paragraph of the first chapter. Sometimes, you might have an amazing idea for the climax of a story, which you plan to work up to. So start with that instead. Find a starting point that makes you want to sit down to write each day. Even if you write your book in disjointed fragments now, you can reorder sections or write connecting passages between important scenes later. Even if you want the story to be linear ultimately, there’s nothing to say you have to follow a rigid, linear process. Famous writers champion the virtue of reading when asked for advice by aspiring authors. If you wanted to be a prize chef, you’ll naturally have looked in other chefs’ cookery books to see how they combine flavours and quantities, and to find hidden tips and techniques you’d not think of using yourself. When you start writing a novel, it helps to have a variety of ingredients and tools in your wtrier’s pantry. When you feel you don’t know how to start writing a novel, dip into your favourite authors and read. Don’t just read, though: Read intelligently. Take notes on how the writer makes dialogue interesting, and compare character and setting descriptions. How does the writer start each chapter? How does she/he end each? Noting these details when you read your favourite novels will passively add to the resources you have at your disposal when you write your own fiction. ‘For weeks I did this, religiously opening my favorite books and copying their structure. If they started off with a piece of dialogue, that’s what I did. If they started with an action, i.e. 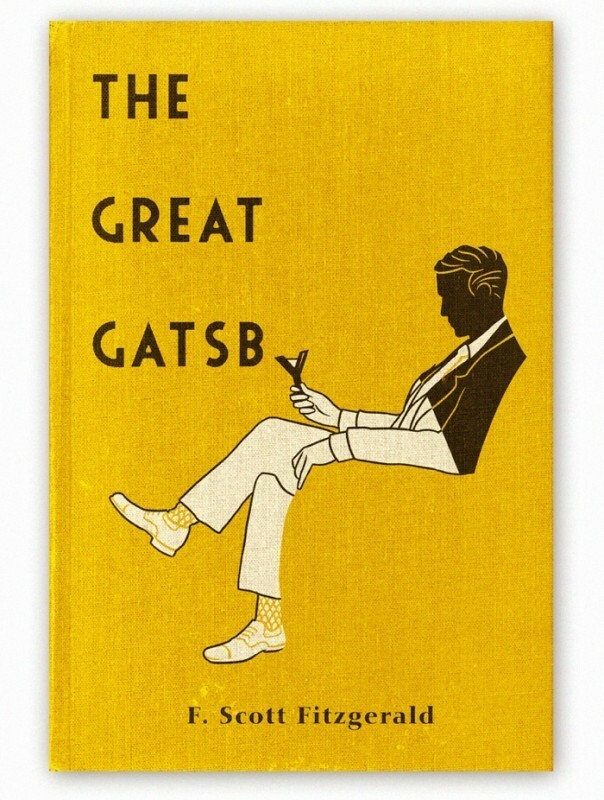 “He swung his leg out of the bed,” so would I. Besides having a plan for what you’re going to write, it’s essential to have a plan for how you’re going to follow through. Schedule your writing sessions as non-negotiable ‘you’ time. If your schedule is full and you have limited free time, simply make your writing sessions shorter and compensate by making them more frequent. Forty-five minutes per day might sound like a lot if you are juggling work and children, for example, but three sessions of 15 minutes is much easier to squeeze into a busy day. At the start of each writing session, outline your objectives, and remember to create small rewards for yourself for reaching your targets. Once you get past any blocks, have a plan for what to write and how you’re going to go about it and you have all the information and inspiration you need, the process of actually writing your novel will proceed faster.